The latest update for the My.ViewRanger online community and trail planning website has been released today. 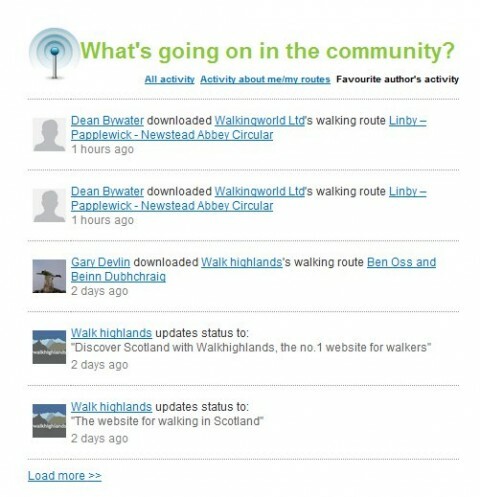 It includes an "Activity Wall" that shows you what is going on in the community, shows feedback from other users on any trail guides that you publish, and shows activity from trail guide authors that you have 'favourited'. You can find the Activity Wall in your My.ViewRanger homepage, when you log-in to the site from any web browser. 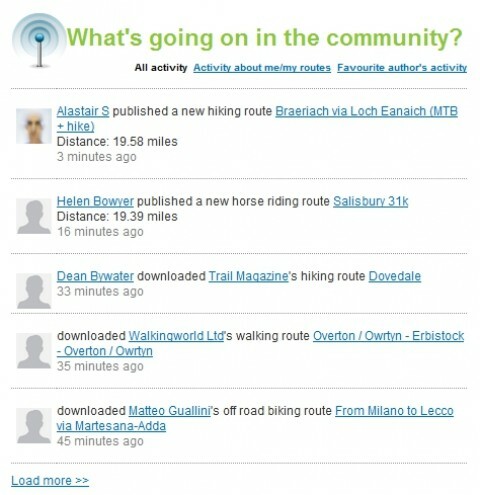 You can filter the Activity Wall, to quickly see what activity has taken place connected with routes that you have published (see when other users have downloaded your trail guides, rated your trail guides, or commented on your trail guides). You can also filter the Activity Wall to show activity that is connected with your favourite authors. This is a neat way to discover similar trail guides, learn when new trail guides are published by your preferred authors, and much more.